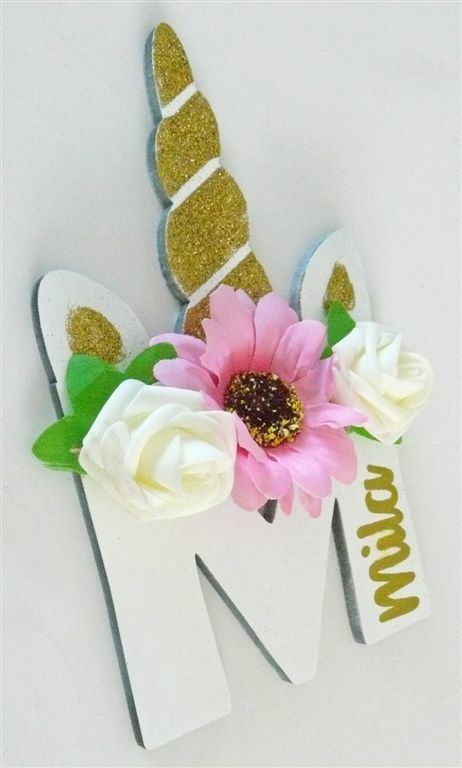 Add some sparkle to the letters with rhinestones, a horn made with fabric and flowers. We glue with any colour glitter. Cutouts can be tiaras or a unicorn shape. If you can dream it we can make it. 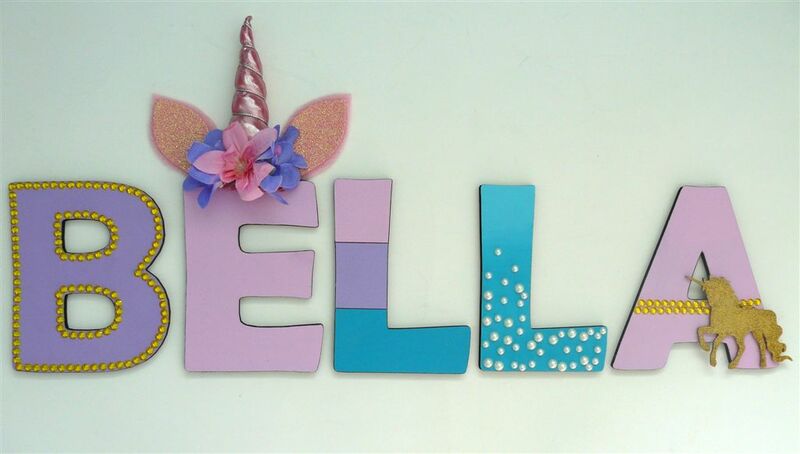 BELLA is painted in pink, turqoise and purple and decorated with rhinestones, glitter and pearls. 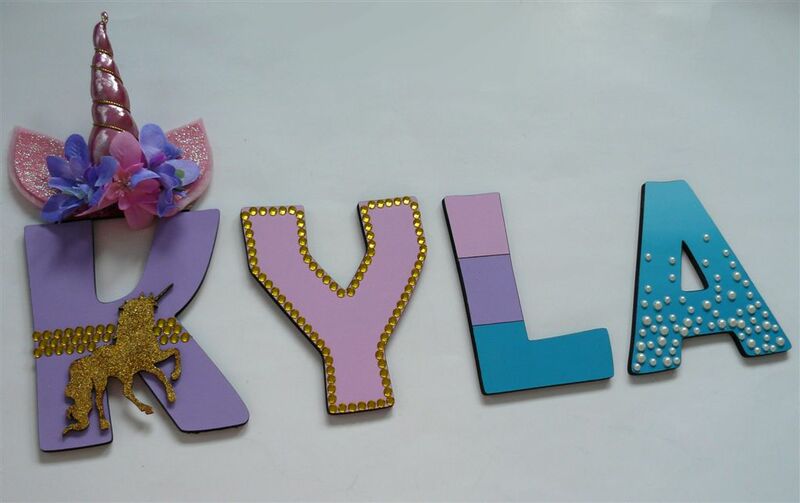 KYLA is painted in pinks, turqoise and purples. We added a unicorn crown and some bling. 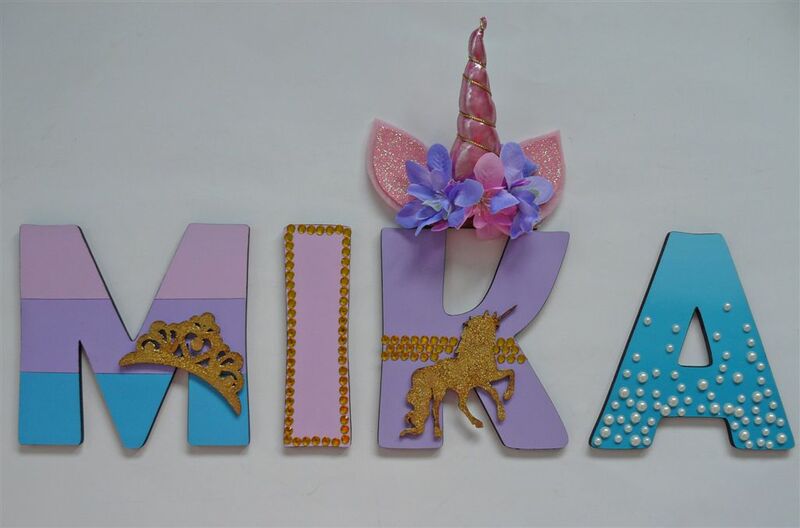 MIKA is painted in pink, purple and turqoise and decorated with rhinestones and pearls.